Are You looking for fresh, catchy and radio ready sounds in the modern pop / club genre, that can inspire You to do something big in the style of Lady Gaga, Miley Cyrus, Pitbull, Flo Rida, Selena Gomez and others? You are in the right place! 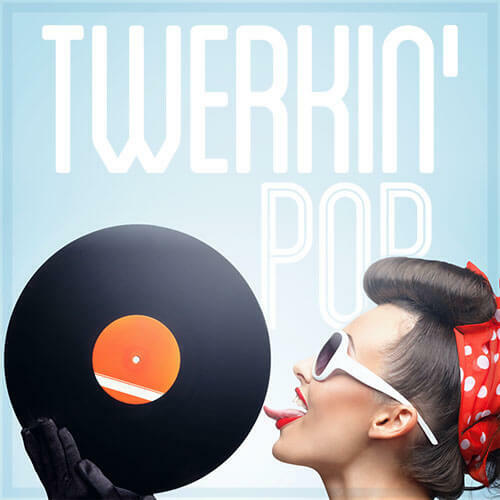 ‘Twerkin Pop’ has been made specially for You! Produced only on hardware to get the best possible sound by a multi platinum composer and producer! 5 modern pop construction kits, 72 loops, 550 Mb multi-format material ready do be used in Your software or hardware! ‘Twerkin Pop’ contains 5 construction kits, 72 loops, 550 Mb, multi-format material (24-bit Acid WAV, 24-bit AIFF/Apple Loops,16-bit WAV) ready to use in your favorite sampler or sequencer, both hardware and software, including: Logic, GarageBand, Soundtrack, Digital Performer, Sony Acid, Ableton Live, Adobe Audition, Cakewalk Sonar, Pro Tools, Emagic EXS24 and many more.